It helps to begin with good base material. 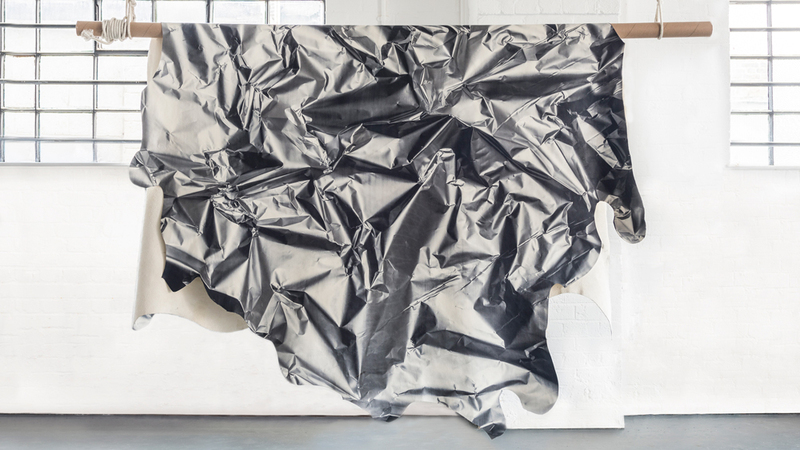 For this project, Amberg offered undyed European bull hides, measuring around five square metres, as blank canvases for the group. 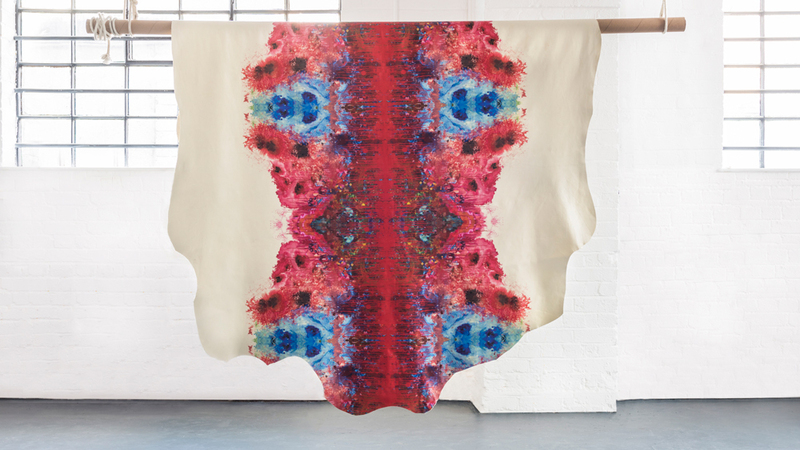 From there a cast of heavy-hitters–Natasha Baradaran, Alexandra Champalimaud, Tom Dixon, Faye Toogood, and wallpaper duo Timorous Beasties—created nine rousing patterns that took full advantage of the digital process. Los Angeles-based designer Baradaran created Elle, a modern take on lace that keeps her sophisticated-without-the-pomp style in good form. 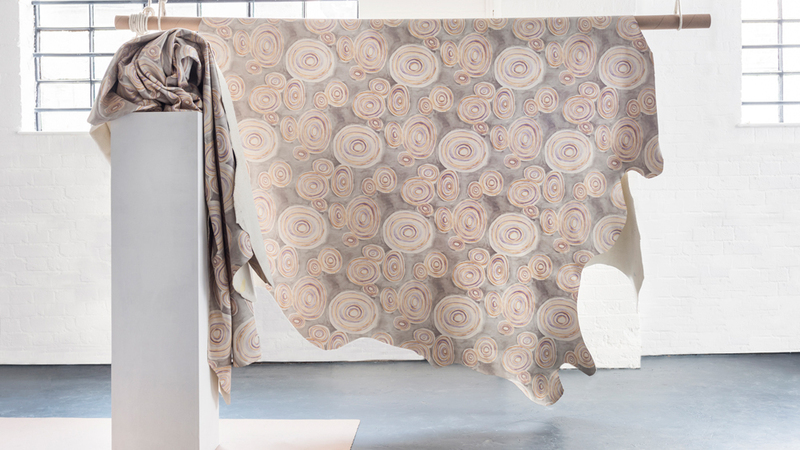 Sketchpad is an arresting abstract motif drawn from Toogood’s personal notebooks that leaves everything to interpretation. While Foil, one of four patterns by Dixon, is a surging metallic graphic. The hides are intended for residential, hospitality, or marine use. Which suggests you will need the hand of a design expert. Unless you prefer to freestyle it with Bohemian abandon—hides on the floor, hides on the bed, hides on the wall.